Weird and wonderful cases probed by Tayside Police in recent years revealed. A number of sightings of paranormal activity, including UFOs and ghosts, have been investigated by police in the Tayside region, a report has revealed. Although officers in Dundee, Perthshire and Angus did not receive any reports of zombies, witches or vampires, several people raised the alarm with police about an "alien spacecraft". One person also contacted Tayside Police in January 2009 claiming they were being attacked by ghosts in their Dundee house. But officers who attended found that the person who raised the alarm was hallucinating. The weird and wonderful cases that officers from Tayside Police have been called out for in the last three years has been revealed in their response to a Freedom of Information request. Three of the five incidents of paranormal activity in Tayside reported between 2009 and 2011 have been given explanations by officers, while the other two remain unexplained. Apart from the hallucinatory incident involving ghosts in Dundee, officers also explained to a witness reporting a UFO sighting in Crieff, Perthshire, in February 2010, that the orange lights in the sky were not from an unknown life-form, but that of Chinese lanterns. The next month police received a report of another UFO in Fife, which officers investigated and found out was in fact a radio transmitter. However, in an incident that would have got X Files' Mulder and Scully excited, at 11.11pm on May 13, 2009, a witness reported a UFO sighting in Glen Lyon, Perthshire. 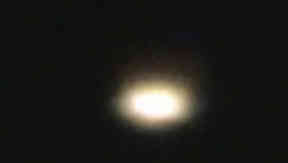 They described a triangular shaped bright white light in the sky, which police have still classified as "unexplained". No police attendance was requested or required, although the incident has been recorded as "unexplained". The freedom of information request asked for details of "reports of UFOs, ghosts, witches, vampires and zombies" in the last three years. The response to the request explained it “may not reflect an accurate picture of the number of reports of this type” made to the force as these were the paranormal activity reports containing the keywords. In order to carry out a thorough check of all odd goings-on reported to police, they would need to go through every single report manually for the last three years, which would exceed the £600 threshold for the processing of a request under Freedom of Information legislation. Tayside Police also could not provide details of how much money and manpower had been spent on investigations into paranormal incidents.